Today we’d like to welcome Colby Strunk to the team at Jack3d.org. We asked Colby to write about his journey, and were NOT disappointed. 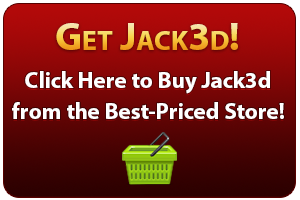 He will be writing more and more on this site as we revamp it in 2013… because Jack3d is alive and well in the US! This is the first 2013 post of our Jack3d Success Series. 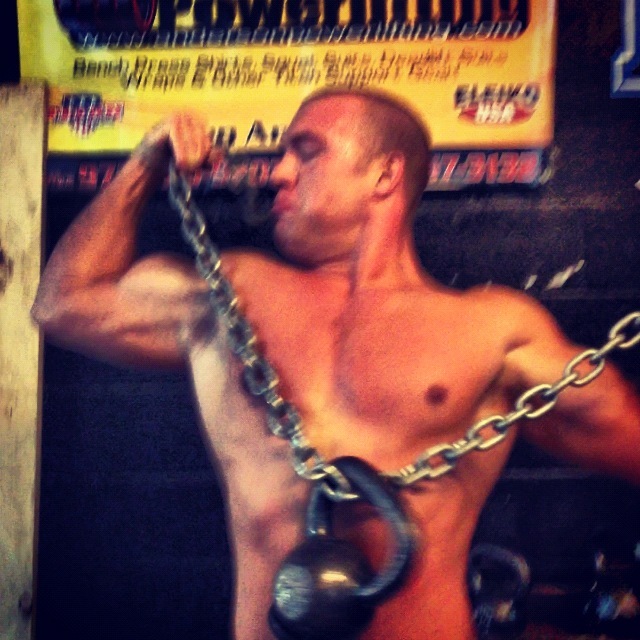 My name is Colby Strunk – or ColbyS on the USPLabs forums, EliteColby on my YouTube channel. You can check out my Versa-1 Beta test log at USPLABS forum website. This is where my story starts – during my High School days I was your average student, enrolled in advanced placement classes. I had participated in athletics my entire life – though I surely didn’t posses an aesthetically pleasing body or many athletic skills. It was the summer leading into my freshman year of high school when I was “bit” with the Iron bug during football summer camp training. I wasn’t the fastest, most coordinated of players, but my progress with the iron quickly became comparable to the “star players”. During my Senior year in High School I quickly established myself as the “strongest” bench presser with raw bench of 335lbs @roughly 186lbs (don’t think at that time I weighed myself) – I was 18 years old at that time (watching an old video now is laughable since my form wouldn’t even count in a meet, but hey, for a high schooler, it was “raw”). After being bit with the Iron bug my dad quickly bought a membership at 24hr Fitness for me so we could work out together – I also purchased one at my local gym so I could train there after school with my lifting partner Josh. It was there that I first discovered Adrian Larsen and Power Lifters. I was amazed at their strength and swore to myself I would someday train with them and compete. I was at the gym on a Friday night, around 9pm when my phone rang- informing me there was a Power Lifting meet at Elite Performance Center the next day at 8am. I needed to weigh in. I had ZERO experience with correct bench press (Power lifting form), I didn’t know if I could make the 181lb weight class and.. I was just finishing a brutal chest workout. So of course I agreed to come and see what it was all about. It was that morning that my cousin unzipped his gym bag and gave me 2 scoops of this new supplement he had bought while he was out of state for college. It was called Jack3d. that same day I stepped on stage for the first time and set an Oregon Sate teen state record of 303lb raw bench, weighing 181lb, 19 years old on my third attempt. (Missed my chance to climb higher due to not giving the judge my next attempt, not knowing about the time limit) I will never forget my first dose over two years ago of Jack3d. I have been around the block supplement wise and always return and now stay with USPlabs and their products. This Pre-workout was unlike any that I had seen before. One small scoop inside a very small container – the ingredient profile was small compared to the huge flashy, filler filled panel of the leading competitor’s product. I ran the product standalone – within minutes I began to feel this warm, pleasant tingling feeling in my face – my body knew it was go time. I seemed to have endless drive, motivation and energy. Weights trembled and PR’s were set. I knew then this was the pre-workout for me and a company to look out for. Fast forward to my beginning with Power lifting at Elite Performance Center – USPlabs and their products have transformed my life. Right after the first meet I signed up for their gym. Elite Performance Center (more to come on this one of a kind powerhouse) gym was unlike any I had seen. I didn’t understand half of the equipment and lack of certain types of machines I was accustomed to. The mono super lifts, bands, chains and tires excited me; I knew this would be the place I needed to be to progress and push my limits- during this time I ran into Adrian Larsen again and learned he also trained here along with a few friends. I quickly joined their team. Since then I was introduced to more of USPlab products and won a few (Pink Magic, Prime, Compound 20, Yok3d and Anabolic Pump – now called AP). Long story short, I started a log on my own on their site and applied to beta-test for a few products and was lucky enough to be selected. Since then I have run a few Beta’s (most recently their best product perhaps to date Versa-1). I am NOT a sponsored athlete (though one of my goals I will talk about soon is to become one one day) but vouch to all who will listen about their products. Their humble motto delivers, “real people, real results” . My accomplishments to date aren’t world records but humble ones which are slowly turning into big things. I am currently 21 years old and compete still at the 181lb class though for the 3/23/13 meet I might be at 198lbs (Currently sitting at 199lbs body weight, very low % BF) I best in gym bench is 365lbs RAW @ 185lb BW 20 years old at that time and 315lbx6 reps. Since then I am now on a 6 month reverse bench training cycle created by coach and owner Chris Duffin to learn proper form to maximize strength, power in my lifts. 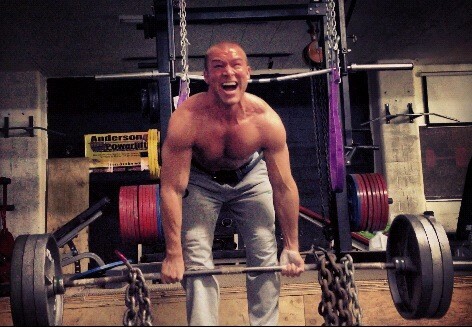 I also boast of a 415lb Sling Shot bench for 1 rep and 405lb Sling Shot 3 reps at 190lb BW. I am also overcoming genetic knee problems to dead-lift and squats so that one day soon I may compete in my first full power meet. My goals for the future are simple – never settle and be complacent with my progress, I seek to better myself each and every day. I want to continue to set records – be a “champion” to be like Chris Duffin – A leader, teaching others to believe in themselves and improve. To continue to train others in this life style; This “Iron game” is my hobby, sport, life style and passion. I have a “body building” look about myself and am constantly ragged on in my gym for that (all in good fun) but this speaks volumes to me about USPlabs and their products. I am currently just re-starting the Asteroid2.0 stack+ Versa-1 and Modern BCAA’s. I am running the new Jack3d Micro most of these days and the original Jack3d+Yoked throughout (3-4 days on stimulants and rest off days) 8 weeks on 4 weeks off of the above stack. I am currently a full-time student at my local community college (already graduated with a AAOT but am now going back to take some business classes so I can apply for a business school this next fall) I also work 6 days a week and recently resigned from my position as Cadet Captain for the local Sheriff’s Office. With this busy of a schedule Jack3d has really been vital to giving me that extra boost/drive in the gym. I have grown to have a “love” for USPlabs because of the support I receive from other members and staff on the forums. They along with the members at Elite Performance have helped elevate me to new levels weekly inside and outside of the gym. Training reaps tremendous benefits physically (of course) but maybe equally or more important are the mental/social aspects of the Iron game. Being physically fit and living this life style promotes healthier overall choices and company. Plenty of sleep, good foods and surrounding yourself with others who support and help you reach your goals are vital. My closest friends in life are those who I train with on a weekly basis. Pushing my body physically to its limits and then some helps me push mentally when life throws me struggles I am able to rise to the challenge instead of run and cower. I am NOT a certified personal trainer but thanks to a healthy life style, proper nutrition-sleep and training partners as well as the world’s best supplements I am achieving a certain fitness goal others would like to emulate- often get requests to write nutrition plans, workouts and train my peers. I help the best that I am able. I am still learning something new every single day – nutrition wise, supplement wise and adding new techniques weekly to my current routine. Like I stated above I am just starting the USPLABS Asteroid2.0+Versa-1 stack. Test Powder, PowerFull, Prime, Compound20, Jack3d, Modern BCAA and Versa-1. 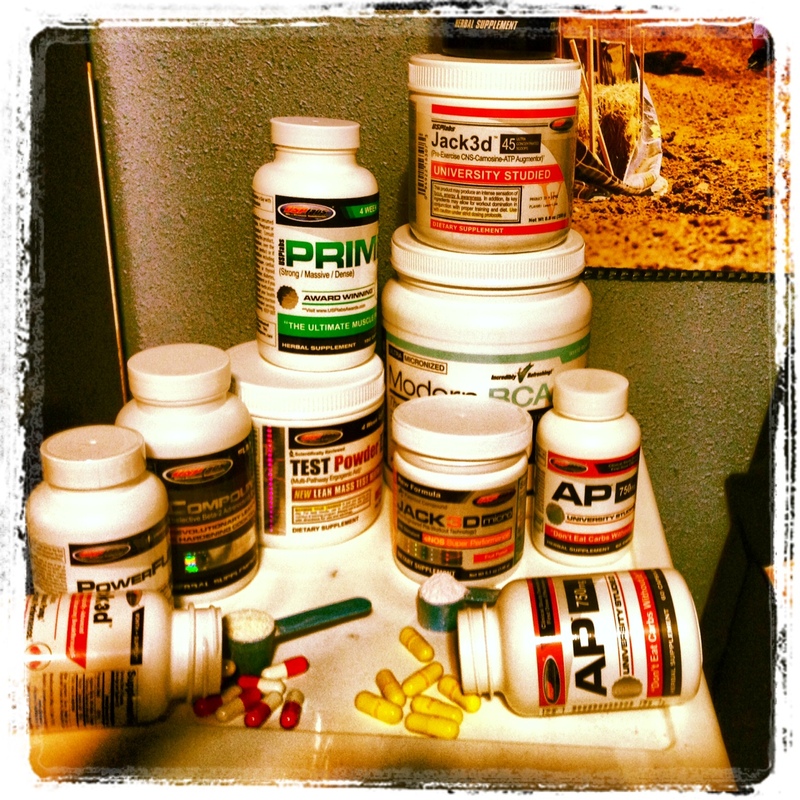 I know this stack coupled with my life style will produce truly amazing results. I stamp my approval, trust in my usplabs community- and that company and recommend their products to everyone. They live the claim “Real People, Real Results” for that is what I am. Thanks Colby!! We look forward to having you write more and more on this site! And for everyone else… if you want your YouTube channel featured with us, we’ll write a success story about you – Jack3d is alive and well in the US, so don’t you forget it!